Out in Western Kansas, not too far from Dodge City, is the town of Jetmore. It’s home to about 900 people, including the Bradshaw family. Young Crystal Bradshaw had a happy childhood there, but one thing was missing, so she set out to solve a family mystery. She ended up writing an important book about Kansas – before she even went to college. 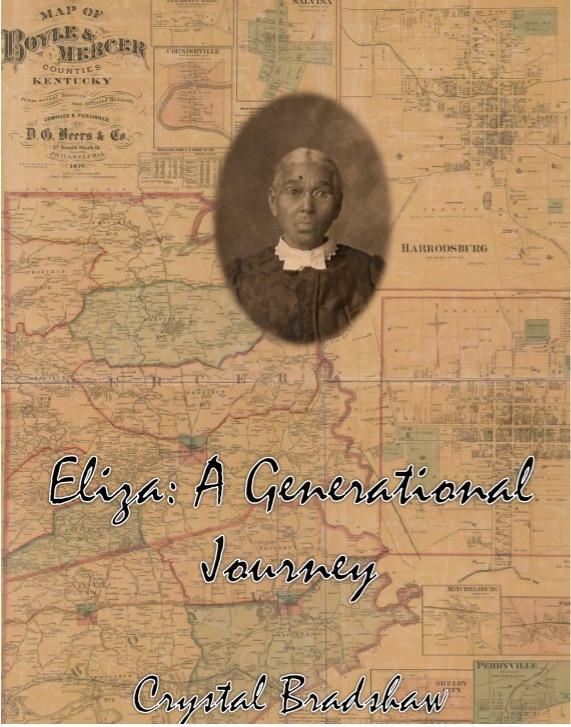 A year ago, Bradshaw published Eliza: A Generational Journey. It tells the story of her great-great-great-great-great grandmother – Bradshaw refers to Eliza as her "times-five great grandmother" – who was born a slave in Kentucky. The book was her response to her feelings about high school genealogy projects. "We’d have to get up in front of the class and present our family history. Which sounds easy enough," Bradshaw says. She comes from a diverse family: "There’s Native American, I have cousins who are Chinese, Hispanic, white-passing, all these different things. So whenever we have family gatherings, there’s literally kids of all phenotypes running around." Her mother’s side kept good records. But on her father’s side, there was little information. "He barely knew anything about his grandparents," she says. So she'd usually stayed with her mother's side of the family when it came to those school genealogy projects. But one year, she was determined it would be about her father. "When it came my turn to present, the only thing I could say was my great grandfather was a stone mason, and just sit back down. Kids looked at me weird, and it was embarrassing because so many students knew where they came from." Bradshaw persisted. She spent futile time on Ancestry.com. Eventually she switched to Google, and a few screens in, she found a link to a five-page article by someone named Mattie Bradshaw. Written in 1907, the article was titled "Eliza Bradshaw: An Exoduster Grandmother." It was edited by an Emporia State University professor named Sam Dicks and published by the Kansas Historical Society in 2003. "It was mindblowing," says Bradshaw. "In a matter of minutes, I literally went from not knowing anything at all to suddenly knowing my times-five great grandmother and how she brought the family to Kansas." 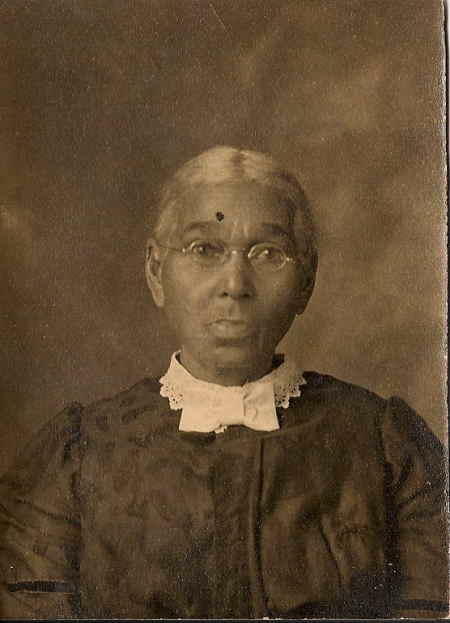 Crystal Bradshaw's great-great-great-great-great grandmother, Eliza J. Bradshaw, 1828-1913. Eliza Bradshaw, her husband and their children were emancipated in 1865. "They tried living in Lexington, Kentucky, which was where they were enslaved, but things were really bad," Bradshaw says. "A lot of African Americans were dying from the KKK." Eliza's family joined the Exoduster movement, in which hundreds of African Americans left the south and homesteaded in in the Midwest. "She saw a poster that was advertising to people, saying, 'Come to Hodgeman County in Kansas.' She rounded up all her family and husband they migrated from Kentucky to Kansas." "I actually do remember seeing Eliza’s tombstone when I was little," Bradshaw says. "It said Eliza Bradshaw on it, and it’s an old-looking tombstone. So I said, ‘Grandma who’s this?’ And she was like, ‘I don’t know.’ It’s just amazing because we literally were walking on the soil where our ancestors were buried not having any idea or having any context of who these people were and their life struggles." The industrious Bradshaw decided to flesh out the story of those struggles. She immersed herself in research, and by the time she got to college at the University of Kansas, she’d written a fictionalized account of Eliza's story. "It took me a while to figure out who all her kids were, especially the daughters because they mainly only keep track of men in the family so the daughters fall off the grid." Bradshaw poured through Census records and other historical documents searching for the details fiction writers need, such as what kind of crops would have been grown on Kentucky plantations during the time Eliza was enslaved and the types of clothes worn by slaves. By the time she headed to the University of Kansas to major in English with an emphasis in creative writing, Bradshaw had already written the manuscript. 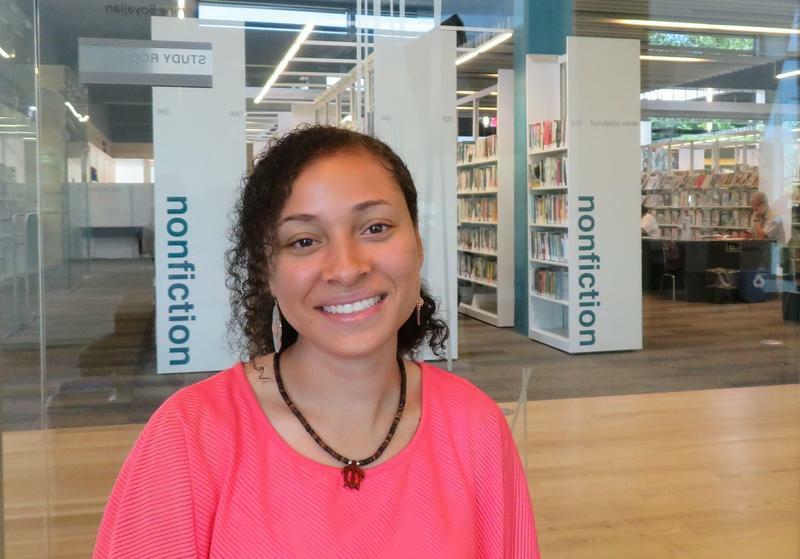 That made a strong impression when she interviewed for a job at KU's Project on the History of Black Writing, which hires students to do research. "The graduate students found this just absolutely amazing that a freshman could start a life in college with a book that she was intent on publishing because she’d been doing all the research," says Maryemma Graham, a distinguished professor of English who founded and directs the History of Black Writing Project. Bradshaw contacted some literary agents but ultimately self-published her 130-page book. She didn’t want a publisher changing its name, or its cover art, or the unique dialect in which she’d written it. I's in the kitchen when I's hear it. The cry. My back go all straight and my eyes bug out as I go on ovah and stand in the doorway. I's imagine that I's look like a momma hen wid her feathers all ruffled up. But I's ain't thinkin' 'bout me bein' no chicken when I sees Joe standin' ovah my babies. John clutchin' on ta Granville, boff cryin', callin' me. Crystal Bradshaw wanted complete control of her book, so she published it herself. "Crystal does not speak vernacular black English," Graham notes. "Her parents don’t speak vernacular black English. The choice to write in the vernacular was a challenge because you have to create something you don’t know." "The whole time I was writing it," Bradshaw says, "I was hearing this voice, and it was Grandma Eliza’s voice, helping me visualize what was going on." The process was often an emotional one for Bradshaw. "I would have to take breaks and walk around a little bit, just because a lot of the stuff that slaves had to deal with was just very, very hard. I don’t know how they lived through it." Life in Kansas was hard, too. Eliza’s husband and two of her children died. Bradshaw wondered why Eliza stayed. "Honestly, I probably would have left – 'This place is awful!' But she saw some good somewhere, and I definitely see the good now in Jetmore, so I’m glad she stayed." So is Graham, who says Bradshaw has made an important contribution to the understanding of Kansas and the Midwest. "The black Exoduster experience is one that we know far too little about," she says, adding, "We need to keep an eye on her." After all, Bradshaw hasn’t even graduated from college yet. She just started her senior year. Crystal Bradshaw is a featured reader at the Kansas Book Festival, which takes place Saturday, September 10 from 9 a.m. to 4 p.m. at the Kansas State Capitol. She is also a featured author for the Kentucky Book Fair in November. Next week, KU will host a Black Arts Poetry Conference, which will feature readings by poets Frank X. Walker and Kevin Young at the Black Archives of Mid-America. A poet and one of the conference organizers discuss the past, present and future of African American poetry. 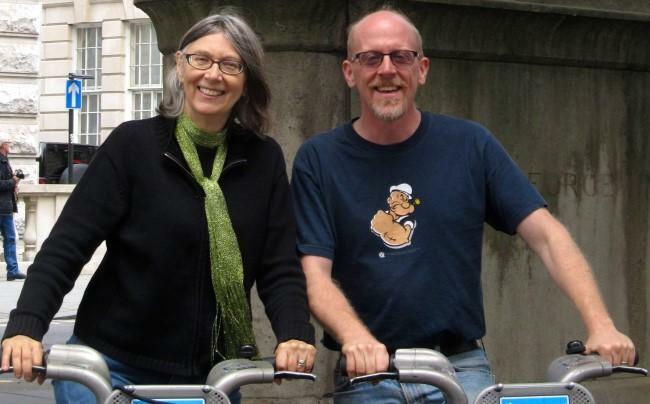 Kansas City, Kansas – It's something like a family reunion, mixed with an academic conference. About a hundred people gathered this week at the Woodlands Turf Club in Kansas City Kansas to share their enthusiasm for Kansas history - specifically the history of black colonies and communities created by the exodusters who came up from Texas in the late 19th century. The story of Kansas abolitionist John Brown — the wild-eyed man who killed pro-slavery settlers in response to the sacking of Lawrence before the Civil War — has been told so many times he's now a historical figure of mythical proportions. Few people, however, know the story of August Bondi, who fought alongside Brown in less-murderous Free State skirmishes.